New Hampshire began 2018 with a brutal winter-weather bang. The New Year’s Eve high in Manchester was just 5 degrees. The low? -2. It was part of a two-week cold snap that drove residents indoors—and energy bills through the roof. And it wasn’t just energy ratepayers who paid the price. The environment took a hit, too. High heating bills and increased greenhouse gas emissions from oil and coal are not the outcomes Granite Staters want. Not politicians, environmental groups or ratepayers. But that’s exactly what they got last winter. The question now is: Will it happen again? The New England region will be the hardest hit—right in the wallet– due to the region’s disproportionate reliance on home heating oil. The EIA anticipates that propane prices will remain flat, electricity costs will rise 3 percent and natural gas will go up 5 percent. But the price of heating oil is forecast to jump by 20 percent—a huge spike in costs for a heating source that is already far higher than any other. In other words, look for heating oil prices to continue to climb, even as the cost of other fuels flattens or falls. Kish notes that New England is uniquely reliant on heating oil—“about 40 percent of your homes in New Hampshire use heating oil, for example”—and he’s right. According to the EIA, about 20 percent of New England households rely on heating oil, which is 80 percent of the U.S. total. 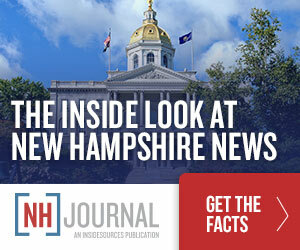 Why is New Hampshire so dependent on heating oil? Part of it is an accident of history, but more recently it’s the result of activists opposing the expansion of energy infrastructure into the region. “Meanwhile, you’ve got activists trying to block any new pipelines in New England, you’re stopping electricity from Canadian hydro power from coming down through New Hampshire—this problem is almost entirely self-inflicted,” Kish says.